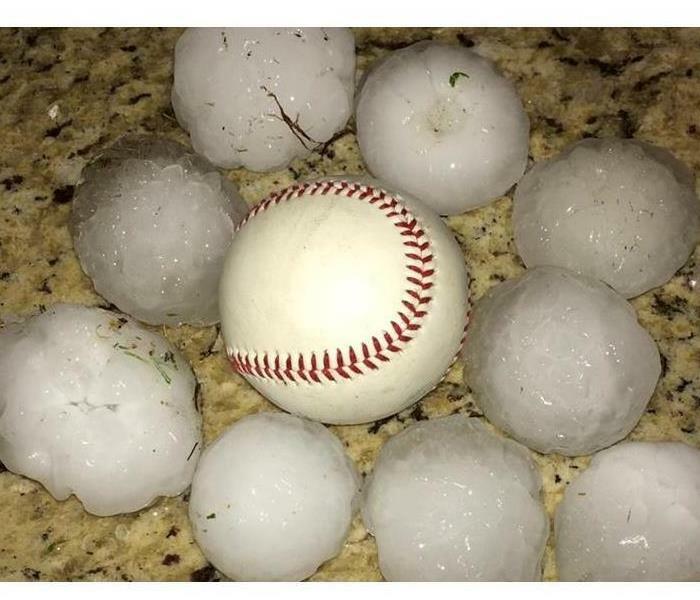 North Richland Hills - Texas, Baseball Sized Hail Can Come Down At Speeds 110 MPH! In typical Texas fashion, this stormy weather has come from nowhere! Hail? In April? Despite our disbelief, we understand that hail can cause some major damages. So, how do you know if you have hail damage in your home? First, during the storm, do you notice water leaking? Hail impact can be detrimental based on the size and speed of the hail. Second, after the storm, do you see any shingles littered on the ground? Or any missing shingles on your roof? If so, there could be some damages. Find a trusted roofing contractor to check out the damages on the roof. Be cautious of roofing companies that aren’t vetted or don’t provide quality service. Holes may not be visible from inside the house, but unrepaired roofs could cause future damages such as water damages or mold infestations. In the unfortunate case that hail impacts your home, SERVPRO of North Richland Hills is here to help. 24/7 emergency services and experienced professionals can help restore and reconstruct your house to its preloss condition. We also provide tarps and board ups to those who haven’t found a roofing contractor so restoration can happen immediately. North Richland Hills, Texas - Don't leave mold up to chance. Let the certified professionals mitigate mold from your home. While we all love the warm weather in spring, there is something else that also loves spring weather. MOLD. That’s right. It is lurking and waiting for the perfect conditions to wreak havoc on your home. Whether there is mold growing from that leaky pipe in the kitchen or the humid bathroom, all mold loves warm, wet conditions. Well, don’t worry! SERVPRO of North Richland Hills is qualified and ready to service your mold growth. From a wide array of services such as mold mitigation and remediation, reconstruction, and clean up, SERVPRO of North Richland Hills is a one stop shop for all your mold removal needs. What could you expect from SERVPRO of North Richland Hills professionals during mold removal? All Your Flood Insurance Questions Answered! 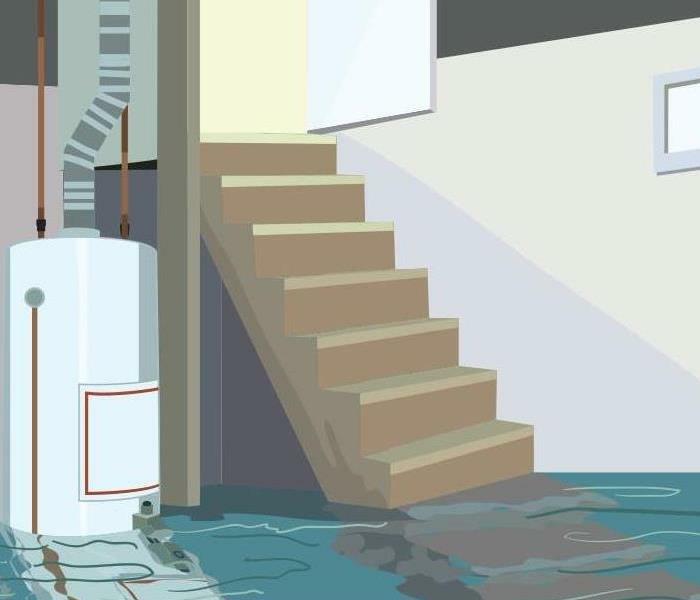 From flooding to sewage, do you know what to do when you have water damages? When it comes to water damages in your home, it is usually unexpected. From flooding to sewage, water damages can cause destruction in your home that cost you big time. You can request to purchase flood insurance even if you don’t live in a flood plain. Ask what your flood insurance includes and how extensive is your coverage. Discuss your coverage with your agent. Be aware that not all homeowner’s insurance covers water damage or floods. There are different types of water damages and they are not all handled the same. If you have been in a natural disaster, you can receive grants from FEMA. For more information, read the FAQ here. Ask our professionals at SERVPRO of Denton what certifications they have! What Does IICRC Mean To You? We are proud to say that our established team have received several certifications in various areas of expertise. 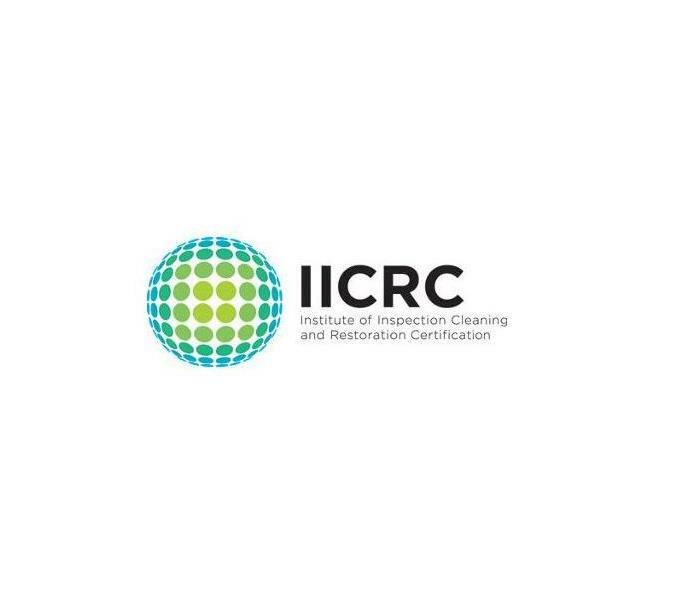 IICRC stands for Institute of Inspection Cleaning and Restoration Certification and they are a non-profit organization for the cleaning & restoration industry. 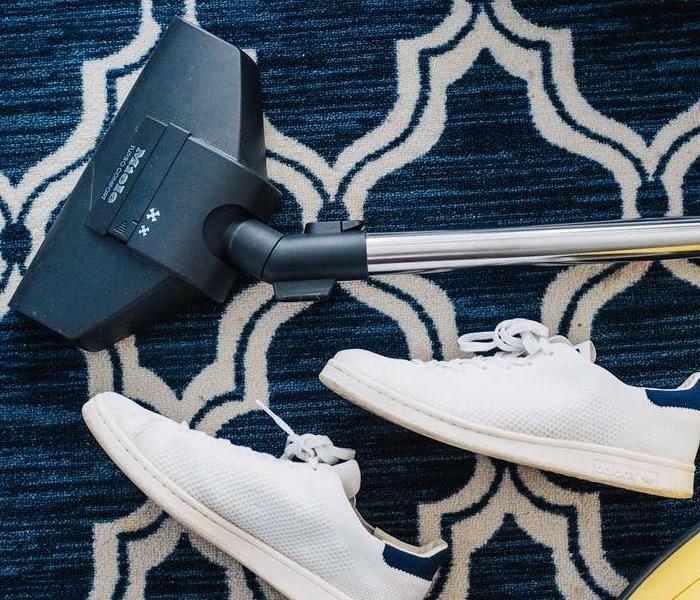 In essence, they set the standard for cleanliness so home and business owners know that they will receive quality service. Our team members take educational classes to exhibit their knowledge on a wide array of restoration situation to receive the certification. There are over 16 different standards. Where In The World Is SERVPRO of North Richland Hills?!? 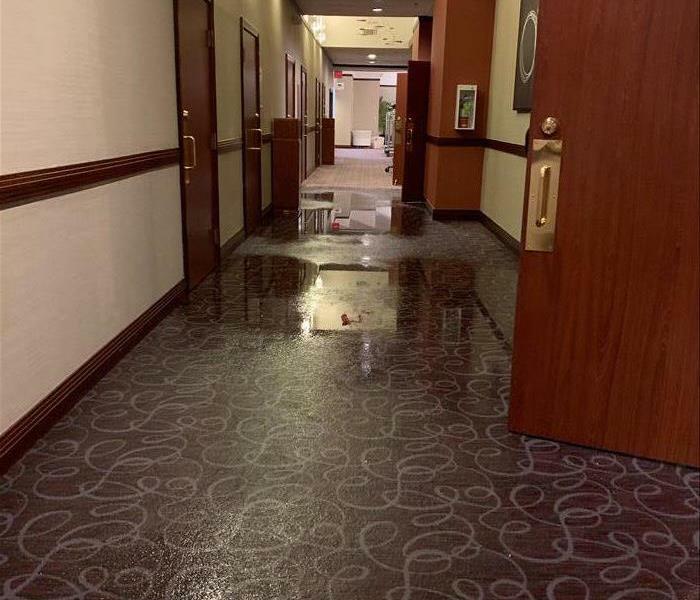 We are handling major water damages from pipe bursts! Answer: We Are In Wisconsin! Check out our tips on how to protect your home from frozen pipes here. Preparing in advance can prevent pipe burst and extreme water damage. If you need a deep clean, give SERVPRO of North Richland Hills a call! 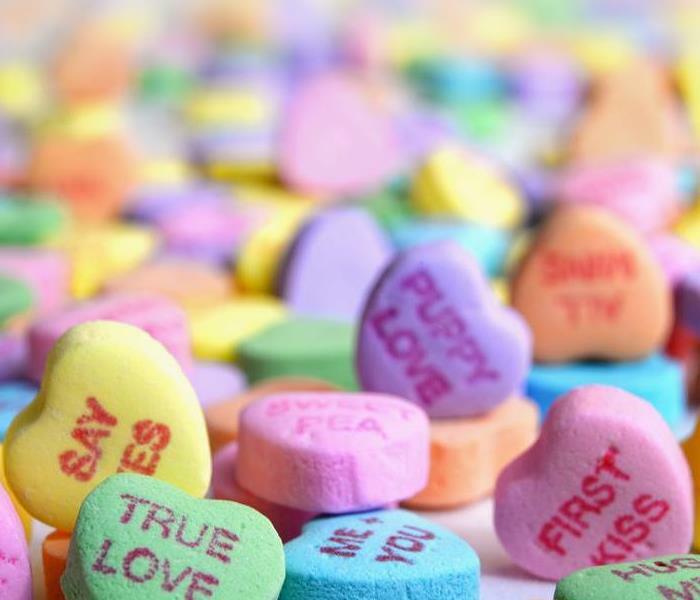 Not only do we love SERVPRO, but we love Valentine candy too! We Are There When You Need Us Most! Just when you need restoration services, guess who comes to the rescue! Talk about perfect timing! 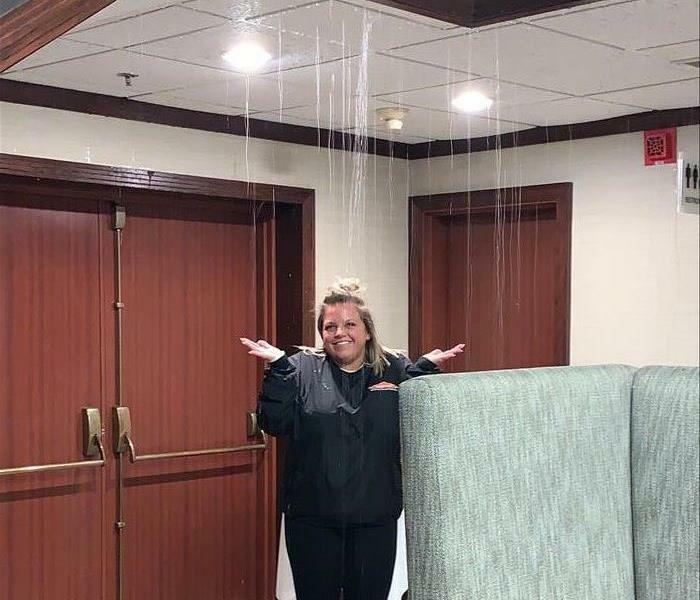 As our crew was up North helping out with the recent deep freezes, they happened to stay at a hotel that experienced massive water damage from busted pipes! 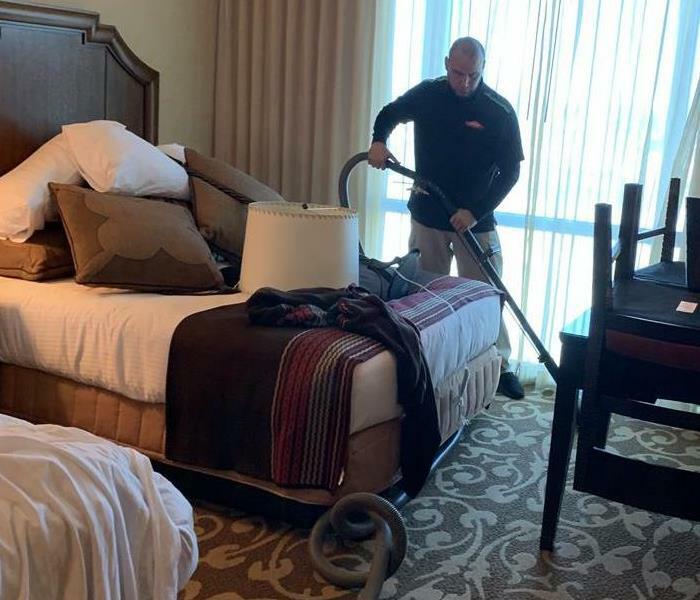 SERVPRO of North Richland Hills did the only thing they knew how to do and so our team sprung into action to start immediate restoration on the water damages. Thanks Summer for all you do! Do you wonder how SERVPRO’s expansive network of interworking franchises work together? 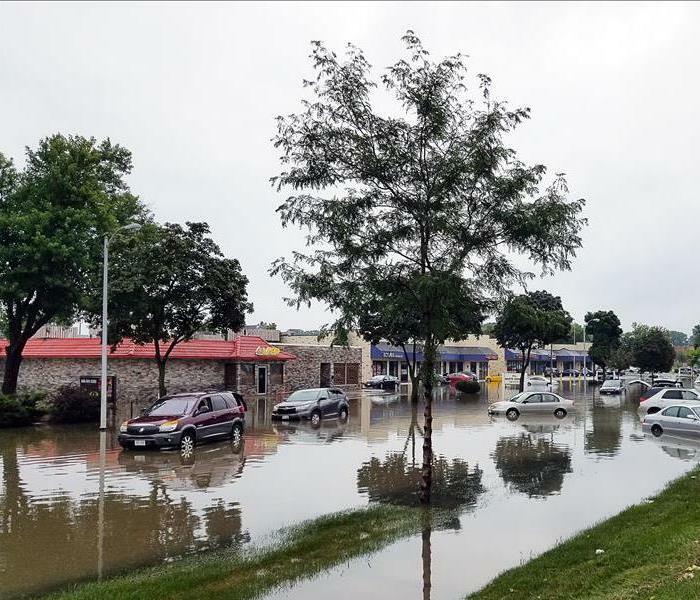 In times of natural disasters or large-scale storms, and when there is higher than normal volume needs for restoration, SERVPRO’s band together to help local communities. 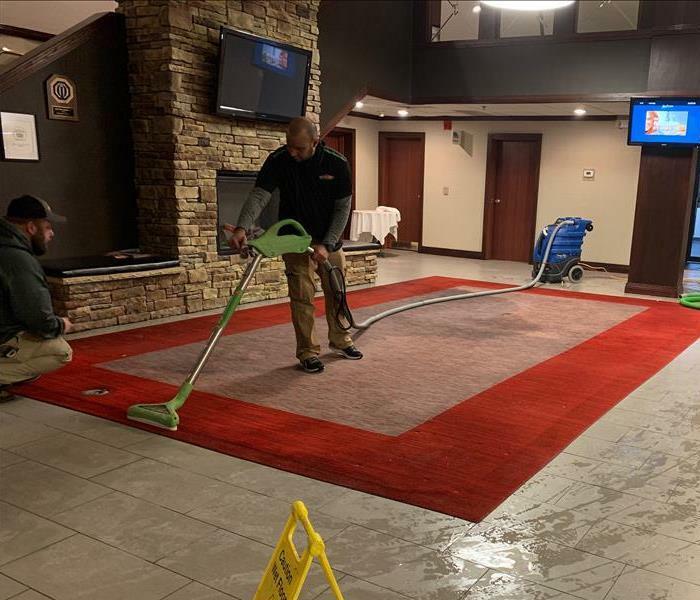 Recently, we have sent a portion of our team out to Wisconsin to help with the severe water damage occurring from the deep freezes and we have loved being to help to support other SERVPRO’s and their local communities. 4/17/2019 - Oh, Hail No! 3/8/2019 - All Your Flood Insurance Questions Answered! 2/20/2019 - What Is IICRC? 2/18/2019 - Where In The World Is SERVPRO of North Richland Hills?!? 2/11/2019 - We Are There When You Need Us Most!